Dr. Simon DeDeo is external faculty at the Santa Fe Institute and Assistant Professor at Indiana University in Complex Systems and in Cognitive Science. He completed his undergraduate studies in Astrophysics at Harvard University and received a Master’s Degree in Applied Mathematics and Theoretical Physics from Cambridge University. Simon went on to receive his PhD in Astrophysical Sciences from Princeton University and conducted postdoctoral research at the University of Tokyo, the University of Chicago as a Kavli Fellow, and also at the Santa Fe Institute as an Omidyar Fellow. Simon is here with us today to tell us all about his journey through life and science. Simon spends most of his leisure time in art galleries, the theatre, and listening to music. He feels like his scientific life intertwines well with the other aspects of life. Simon tends to think scientifically about the world around him and pulls his other interests into his scientific work (like including snippets of opera in a presentation for students). Research in Simon’s lab seeks to understand how people make decisions, how they feel, and how they think. He is curious about how these things bring people together to create societies. They study historical societies all the way through societies in current times. “We observe carefully, and we go by what we see”. Simon had a very broad education when he was younger, but he loved mathematics. He was fascinated by the use of math in proofs and theorems, but also applications of the formulas and equations that underlie everything in the real world. This drew Simon to physics, and he initially specialized in astrophysics where he could study the hidden mathematics in astronomical patterns. On one occasion, Simon submitted a paper, it went through peer review, and they sent the final version to the editor of the journal. However, he realized (just in time!) that they had accidentally omitted a minus sign in one of their equations, and everything started to unravel. Simon had to email the editor and retract the paper to make the corrections. A lot of the paper was still valid, but it had an impact on some of their conclusions. Simon has been studying records from the Old Bailey criminal court in Victorian London ranging from the 1600s through the early 1910s. His lab had been working on these transcripts for two years when one member stumbled across a striking pattern that has been termed the civilizing process. You can see in the data how the language used to describe violent and non-violent crimes was very similar in the 1600s, and slowly over the course of hundreds of years, the speech patterns used to describe these two types of crime diverged so that by 1910, they were very different. A distinction was created in people’s minds over time and you can clearly see the mathematical trace of this pattern. Discovering this was a truly sublime experience. One of Simon’s best scientific travel experiences brought him to the University of Tokyo. He was awarded a year-long position at the Kavli Institute for the Physics and Mathematics of the Universe. Working and living in the Tokyo academic culture was amazing. This incredible experience completely changed his perception of the things that are needed for a successful culture. He learned so much and really enjoyed exploring the city. Simon shares some of the quirky aspects of the relationships that you form with your advisors, including the long, frantic, overly-elaborate emails that are sent only to be followed up a few hours later with much shorter, calmer emails telling your advisor to ignore the first email. He also really cherishes the opportunities that scientists have to be playful and indulge in their childlike curiosity. Get up early and go for a run. Science is an emotional and intellectual task, and it is important to maintain your emotional life in order to do the best science you can. Simon runs the Lab for Social Minds at Indiana University. The Lab conducts research aimed at understanding both the origins and the possible futures of human society. Recent work ranges from the centuries-long timescales of linguistic evolution, decade-by-decade shifts in European culture, the month-by-month dynamics of cooperation in indigenous society, day-by-day renegotiation of implicit collusion in distributed economies, and the second-by-second emergence of social hierarchies in online systems such as Wikipedia and in the social animals. These extensive empirical studies have been drawn together to produce synthetic, deep-time accounts of major transitions in political order, the information theoretics of social feedback, and the phenomenon of norm-bundling. The Lab also releases policy papers on both the promises and risks of augmented cognition. His lab draws on a wide network of collaborators in cognitive science, psychology, linguistics, anthropology, economics, the social and historical sciences, and animal behavior, as well as theorists in artificial intelligence and machine learning, both in the United States and abroad. 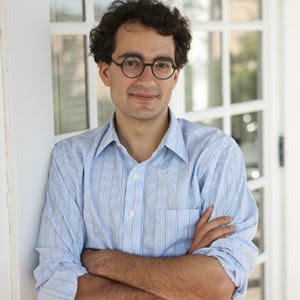 Before joining Indiana University, Simon DeDeo was an Omidyar Fellow at the Santa Fe Institute. He has been a visiting researcher at the CUNY Graduate Center’s Center for Theoretical Sciences, and in the department of Social and Decision Sciences at Carnegie Mellon.